What happens when weather forecasters predict Noah’s flood, but the end result is a couple of drops of rain? Inconvenience for some, but for the hoteliers along the Adriatic Riviera a forecast for bad weather during the summer season translates straight into loss of earnings as Italians (who still make up the largest part of the tourists here) cancel a trip to the seaside. The problem is intensified with the diffusion of long-term weather reports via websites, simplified down to eye-catching and hair-raising graphics laden with lightning bolts etc. 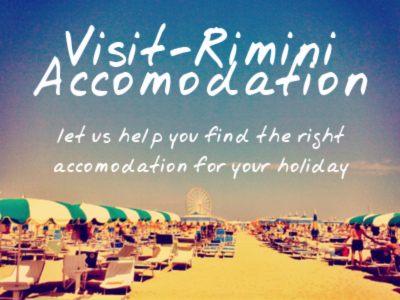 For northern Europeans it may bring a smile to the face, the idea that anyone would base their plans around a weather forecast, but keep in mind that for the most part the summer weather in places like Rimini has usually been standard and predictable. Hot summers with sunshine, and the occasional heat-driven thunderstorm. The Corriere della Sera reports (from the 23/07) that Hotel associations throughout Italy, but in particular along the Adriatic Riviera, are threatening to bring law-suits against commercial online weather forecasting services, branding their long-term forecasts (15 days) as ‘Meteo-Terrorismo‘. The timing of these events isn’t necessarily helped by the fact that in the last two weeks the whole of Northern Italy has had unseasonaly bad weather – with violent storms and flooding happening. Trying to sue errant forecasters, or indeed producing your own forecasts are one approach to a serious issue – albeit, it seems to us, an old-fashioned way to approach a modern problem; a different approach is to remind people of the many other things that a town like Rimini offers. A rainy spell might rule out the beach temporarily, but that just gives another chance to head into the centro storico to view the magnificent roman frescoes of the Domus del Chirurgo, or the renaissance wonder of the Tempio Malatestiano. And of course, a rainy day doesn’t stop you from eating or drinking, and for that there are few places as inviting as Rimini. A trip across the 2000 year old Ponte di Tiberio into the beautiful Borgo San Giuliano is as dramatic on a cloudy day as in the summer sun. This entry was posted on Thursday, July 31st, 2014 at 9:57 am You can leave a response, or trackback from your own site.